Welcome to my Website! If you’re looking for a professional massage therapist here in Redmond, you’ve come to the right place. MassageBeneficial, established in 2001, is located in the lush-green, Redmond Ridge Community. A place of refuge from the non-stop, work-a-day world. The Massage Womb is your space and time. A place to heal and thrive. it is our mission to reduce suffering and empower the healer in you. There is so much we can do to care for ourselves and our families between visits to our healthcare professionals than many of us are aware of. We are pleased to share tips and provide tools for self care to those with an interest. Sessions are tailored to the individual needs of our clients and performed in a safe , relaxing and caring environment. Click on the "My Services" page to learn more about the various techniques used to promote overall therapeutic wellness and relaxation. 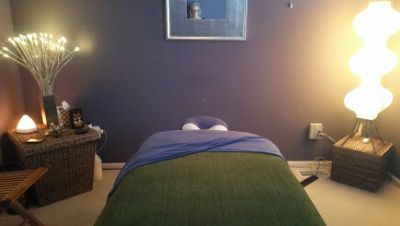 To request an appointment or to purchase a Value-based Wellness Package or Grateful Gift, just click on the "Request a Session" page or feel free to call as that is our preferred method for scheduling. If I am away from my desk I will call you back to confirm the details of your appointment or purchase, and answer any questions you may have.